Merry Belated Christmas everybody! I hope you all had a lovely Christmas and spent it with the people you love. I want to get back into my blog, but I think I'm going to take it easy for now so please stay with me! I always love reading these Chirstmas present posts and I really wanted to do one myself. With a similar disclaimer to almost all other people that do these kinds of posts, I am NOT bragging about what I got for Christmas, I appreciate everything I have and I know that a lot of others aren't as lucky as me, but as I've already mentioned, I just really enjoy seeing other peoples' posts. Even though I have only moved twice myself, I know how stressful it can be moving house. My dad was a removal driver for years and I used to go out with him on jobs, so I have picked up a few tricks of the trade to make moving (slightly) less stressful and a bit smoother. Here are my top tips to help you move house! So you may or may not have seen my swatches post of the new Kat Von D Saint and Sinner Palette (link here! ), but that was part of a lovely haul I did recently! I haven't treated myself recently so this was really nice for me! 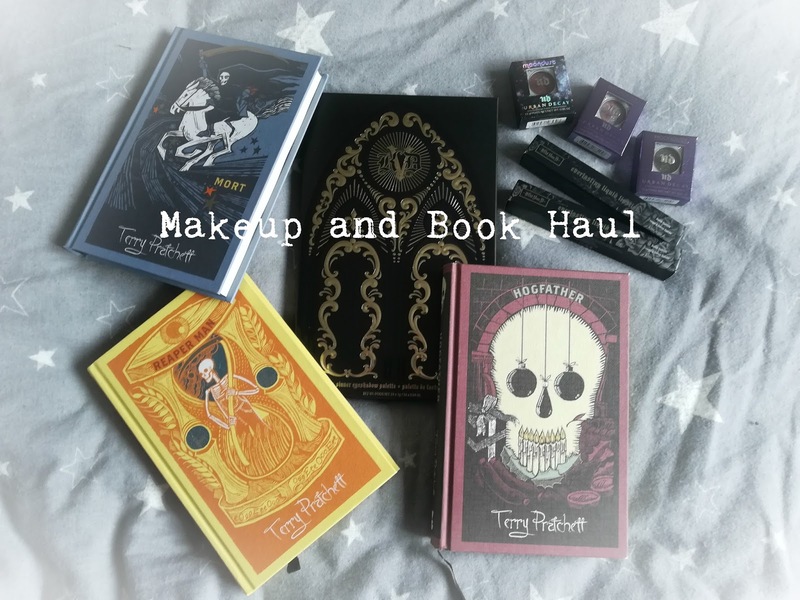 I've been feeling books and makeup recently so here is what I picked up! 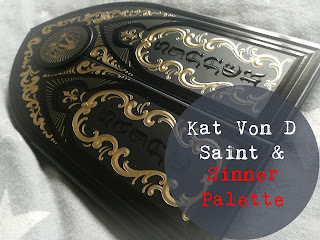 Kat Von D | Saint and Sinner Palette Swatches! Everyone gets excited for the seasonal Lush products, but I think that there is a certain buzz around the Halloween collection that they release! Autumn and Halloween brings something out in people, it makes people feel cosy and they love the warm scents that get released around this time. Me however, I'm a weird one, because I have to be really careful with what I buy around autumn, because I thoroughly HATE the smell of spices and certain 'cosy' scents. 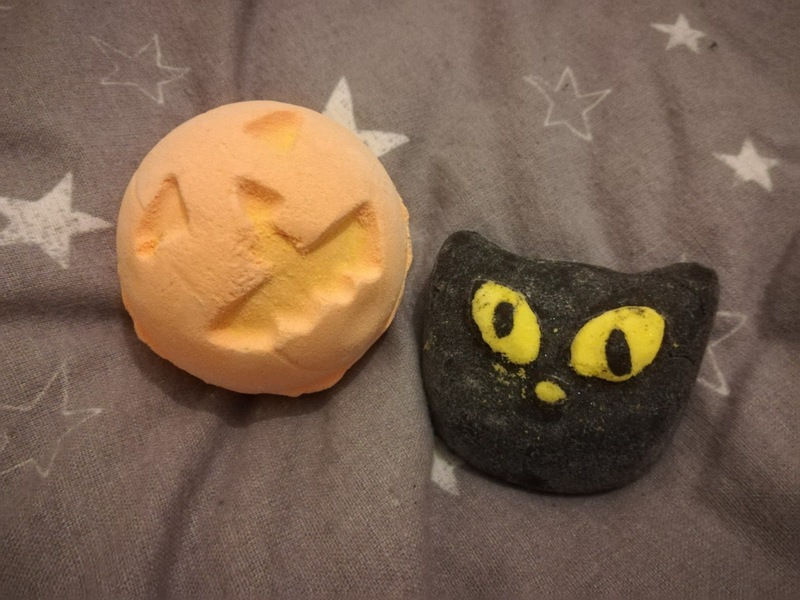 I went to Lush to try some of their Halloween products and here are the ones I picked up! Bewitched: This is the main reason I wanted to go to Lush. I adore kitties and this was just too good to pass up on. Luckily the scent is not spicy and is really pleasant and fruity (supposedly smelling like blackberry). 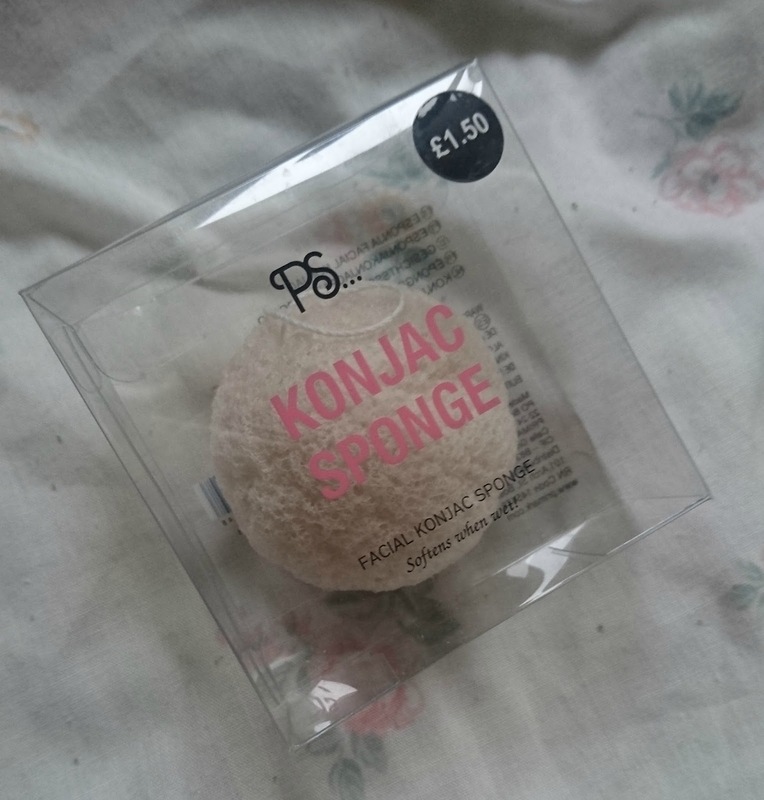 This bubble bar is like all others and creates a gorgeous lather that explodes in your bath! The scent is great and it turns your water a grey colour, that is surprisingly not nasty looking! The only problem I have is chopping this little cat up to put in my bath *sad face*. Pumpkin: This one does what it says on the tin... well... bag? This bath bomb shaped into a Halloween classic does have a slightly spicy smell but the sweetness definitely overpowers it! It smells slightly orangey/citrus but the spice subtly comes through. The vanilla is what causes it not to be overpowering but doesn't mask it enough to wipe it out completely. I'd definitely recommend it for when you want a cosy night in but also want a bit of fun! There were quite a few others in the collection that I really like the look of but these were the ones that won me over. I really hate the look of the jelly bombs, I tested one in store and it literally creates a layer of 'jelly' on the top of the bath, which honestly just looks like slime. I can't even imagine having to get out of the bath after a jelly bomb because I think you would just need to have another shower afterwards! The jelly bombs really don't float my boat, but let me know what you think of them if you have tried them! Have you picked anything up from the Halloween collection? What are your favourites? Let me know! The 22nd marked the start of autumn (according to some calendars), meaning it's time to break out the hot chocolate, the knitted fashion and the deeper lip colours! To start off this season, I thought I would create a list of autumn blog post ideas! I can't believe how quick summer has passed. I do like autumn time but I wish the warmer months could stay a little longer! What's your favourite time of year? 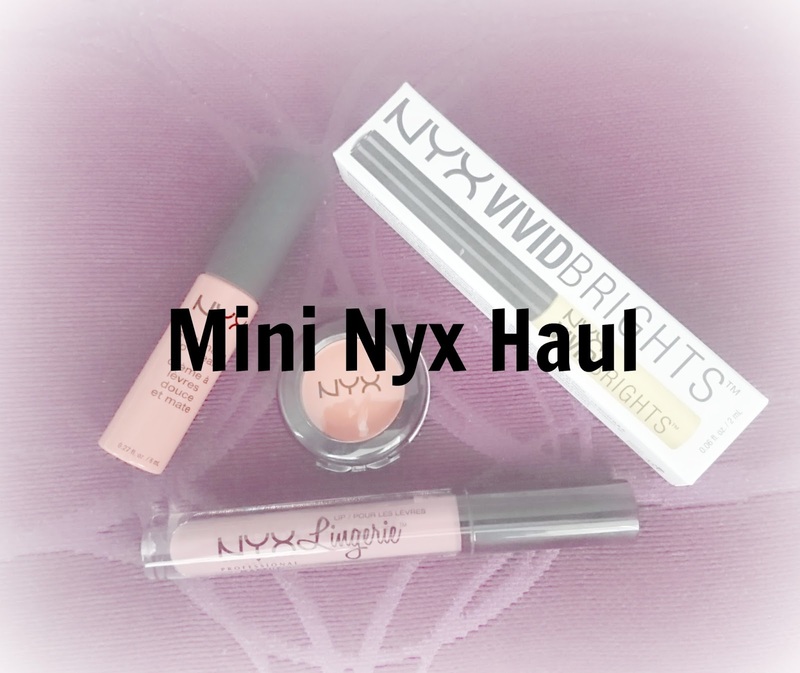 Do you have any other autumn post ideas? Let me know! There have been exciting changes in my life recently, which is one of the reasons for my lack of posting. But, since my last post, me and my partner have found a flat! I'm super excited but it has been very stressful and tiring trying to get everything organised and in its right place! 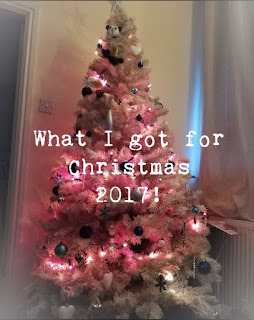 Since I lived with my parents before moving out I haven't had the luxury of decorating the house how I want to, but now I can let loose with ornaments and my style and there are so many different things I have on my house wishlist! Constellation Globe: £29.99 from MenKind. I have a thing for stars and space and I think that this globe is absolutely stunning! I think this would look so pretty at night in the living room when we're all snuggled up on the sofa! Kitty Salt and Pepper Shakers: £23.51 from Etsy. As you may or may not know, I love all things cat! Even though they are rather expensive for what they are, I might have to give in and buy these beautiful little shakers for my new home! Black Cat Bookends: £14.99 from Attitude Clothing. Another beautiful item to add to my kitty collection! 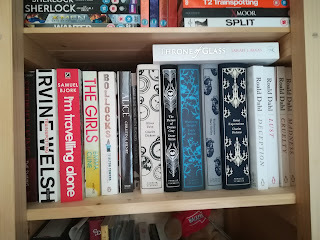 i've been looking for some bookends for months now and none have been as perfect as these! Starry Bed Set: £25 - £55 Next. Even though not as realistic as the globe, this bed set is super cute and right up my street for bed decor. Octopus Candle Holder: £32 from Rockett St George. I'm all for the quirky decor, I can't wait to fill my home with curious items and as a lover of candles this would be great! Although I'm not a massive fan of the colour, it's nothing that a little lick of heat-proof paint couldn't fix! Vampire Candles: £4.99 4 pack from Kate's Clothing. These candles would be perfect in the octopus holder! When burning the wax turns from black to red. How cool is that?! So guys, for the past month or so I have been really struggling to keep up with my blog, and I feel as though the content I am posting is struggling with it's standards too. There is a lot going on in my life at the moment, and although all of it is good I just have to put those areas first! I've started a new job and I am settling into that, but it's 18 miles from where I currently live, so by the time I get home I just want to relax and sleep. Because of my new job I am actually moving too! Me and my boyfriend are looking for a place to stay together; and this is pretty much filling up my weekends (it is soo stressful!) so when we have got back from the viewings we are discussing what we have seen and we again, just want to relax. The other part to my busy schedule is something I have tried to share here on my blog. It is my room redecoration at my current home. It's my dad's place so I will still be staying there a lot of the time and the redecoration is coming along great. I even feel that this post has been difficult for me to write and isn't the greatest of quality. But I definitely wanted to make sure that I shared something with you before I just dropped off for a little while! I am super super grateful to everyone that reads my blog and I would be even more grateful if you would continue to support me and wait until I return! I hope I come back with posts that you all enjoy reading and really help you decide on things you may have been unsure on before. Simple isn't a new company. I've been using Simple products for a few years now, and ever since I got one of their bundles which contained a cosmetics bag, their hydrating light moisturiser and a packet of their cleansing wipes, I've been using their products. I've tried quite a few of their face washes but the two I'm going to compare today are their Clear Skin Oil Balancing Exfoliating Scrub, and their Kind to Skin Moisturising Facial Wash. I'm really pleased with the exfoliating wash and I have to say it seems that it is more moisturising than the actual moisturising wash! The moisturising one seems to make my face feel really tight and dry and I usually have to use a lot of moisturise after using it. 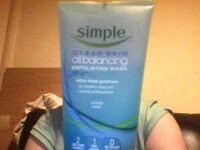 The exfoliating wash does seem to make my face flakier, however, but I still don't have to apply as much moisturiser. After using the exfoliating wash my face looks a lot less red than before (on account of the Witch Hazel it contains) which is more than I can say for the moisturising wash as that still leaves my skin with quite a few spots. In all Simple products there are different nutrients and vitamins to help keep your skin healthy and there are 2 nutrients in the Exfoliating Wash: Witch Hazel, which helps to reduce blemishes; and Natural Zinc PCA, which absorbs excess oil. It also contains Pro-Vitamin B% which softens and smoothens your skin. 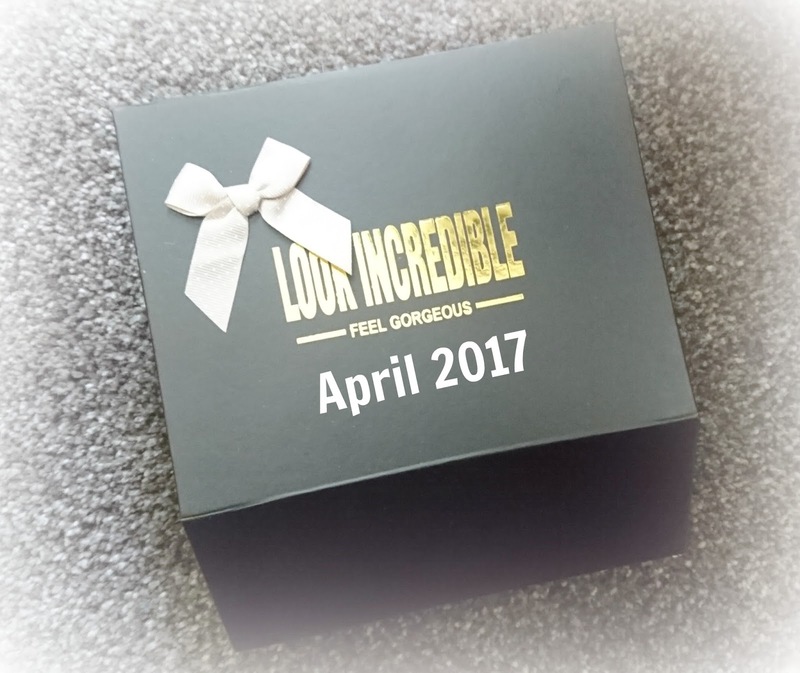 The Moisturising Wash contains Bisabolol, to soften and moisturise the skin; and Vitamin E as well as Pro-Vitamin B5 to moisturise. It may be that I don't have the right skin for the Moisturising Facial Wash and I am not saying that it is a bad product, I would recommend it for people with dry skin, however I would also recommend using the light, or even the rich moisturise with it to stop any tautening of the skin. 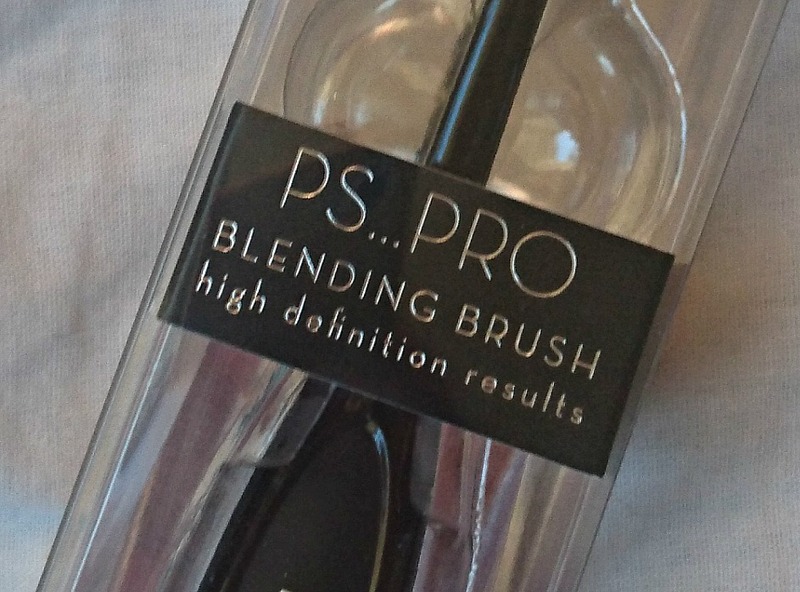 I do prefer the Oil Balancing Wash and I would say that this is the better product. In Superdrug, the price fro both face washes averages around £3/£4, and there are often offers on, making them even cheaper! Great value for such good products! Have you tried any of these face washes? What are your favourite washes to use? Let me know! So I apologise! This month has been a slow month for film watching! If you have seen either my Bedroom Wishlist post, or my Decorating My Room post, then you will know that my life has been chock full of decorating! So film watching hasn't really been on my to-do list! But, I have managed to scrape a few films in, so here are the films I have watched in August! Have you seen any of these films? What did you think of them? Let me know! 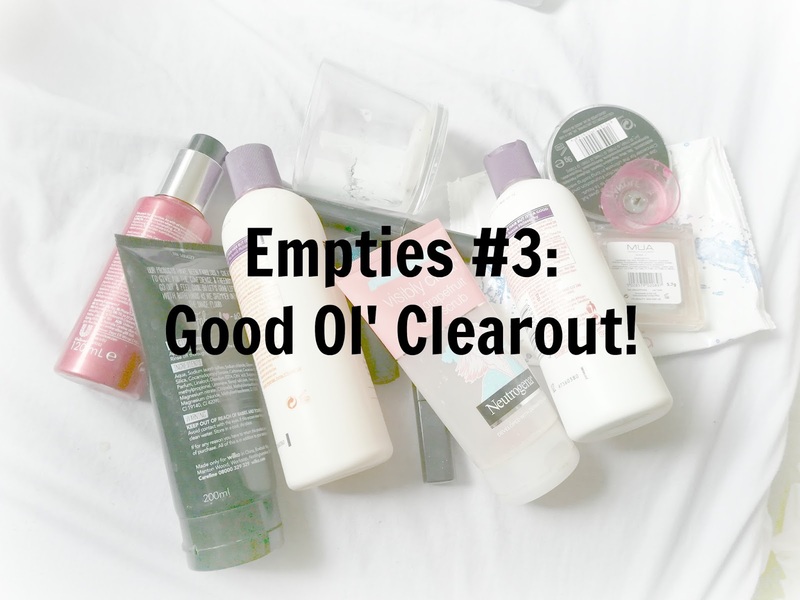 It's finally time for another empties post! I thought I was flying through products the first couple that I finished, but it seems to have dwindled down a little bit, which I am not complaining about because it means I have to spend less money! But here are a few products that I have finished up over the last couple of months. If you have read my Bedroom Wishlist post then you may know that I am currently in the process of redecorating my room. Now, this is the first ever room that I have had to decorate, and it isn't as quick and easy as I would have imagined. Don't get me wrong, I never expected it to be a piece of cake, but I expected to be able to paper and carpet it within 2 weekends... that was NEVER going to be the case. Here is what I have found through decorating my bedroom. My original plan for this room was to leave the paper that was already there up, and just paint over it. 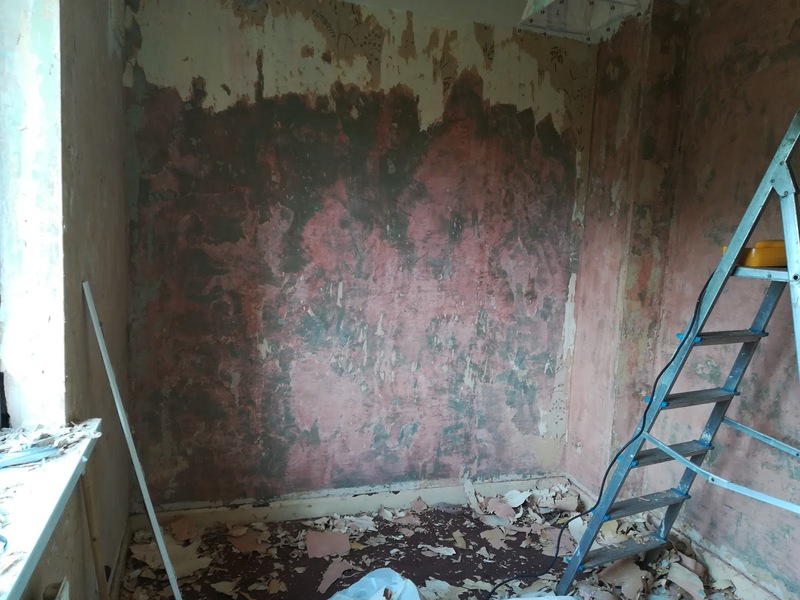 This was never going to work however because the person who decorated these walls (no names mentioned, but was a former partner of a family member) was an absolute bodge artist that just wanted the dosh and an easy job! I hadn't noticed before, but the paper was not stuck on properly, there were ripples everywhere, air pockets, and the top was not even! So we ended up having to strip all of the paper off. This wouldn't have been much of a problem had all of the paper been applied as poorly as the top layer. The other layers however, were done properly, so they ended up being a nightmare to remove! The texture paint was awful too, but we managed to chisel most of that off (although that did take time in the week as well). We had a heat gun and that was a dream to remove the layer of normal paint on the one wall, it honestly just fell off and was so satisfying! Removing the wallpaper got very messy, and I ended up just wearing one outfit for all of the days I was doing it (pretty much the entire weekend and every day after work) which meant that it got very smelly... and I mean very smelly... I didn't see the point in changing it though because I knew it was just going to get dirty again! I never really thought about sharpening scrapers but it really makes such a difference! They started off kind of middle-ground, they weren't ridiculously blunt but they could do with a little sharpening too. Once my dad sharpened them they were so much easier to work with and just made everything a little more bearable. We have finally managed to get all of the paper and textured paint off, but we now have to patch up any holes and re-plaster around the window, which is going to add another weekend onto the project! I'm pretty sure I know how I want my room, so I will post another update when we are a little more into the journey! Have you ever had to decorate a room? What would your dream bedroom be like? Let me know! For the past month or so, I have been planning to swap rooms at home and redecorate. This is the reason for the sparseness of posts over the past week, decorating has just been non-stop and it has completely drained me! 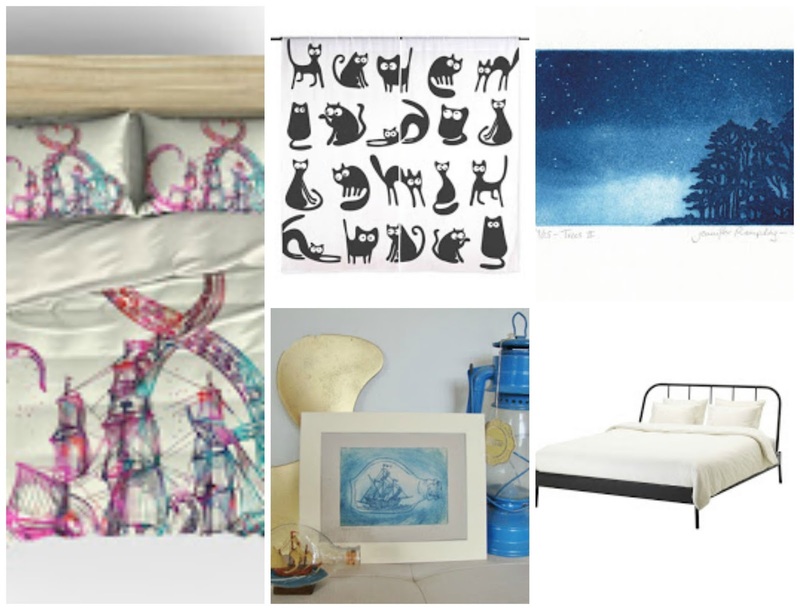 I want a double bed and the room I have at the moment is just not big enough, so I am swapping the spare room for my room, and I have been getting SO excited about it and looking at what new furniture and décor I could fill my new room with! 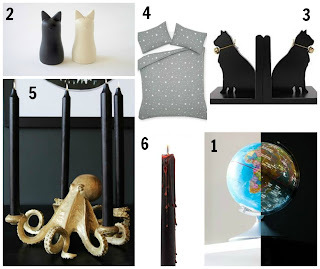 Here are some of the things I have thought would look great and really want to get! 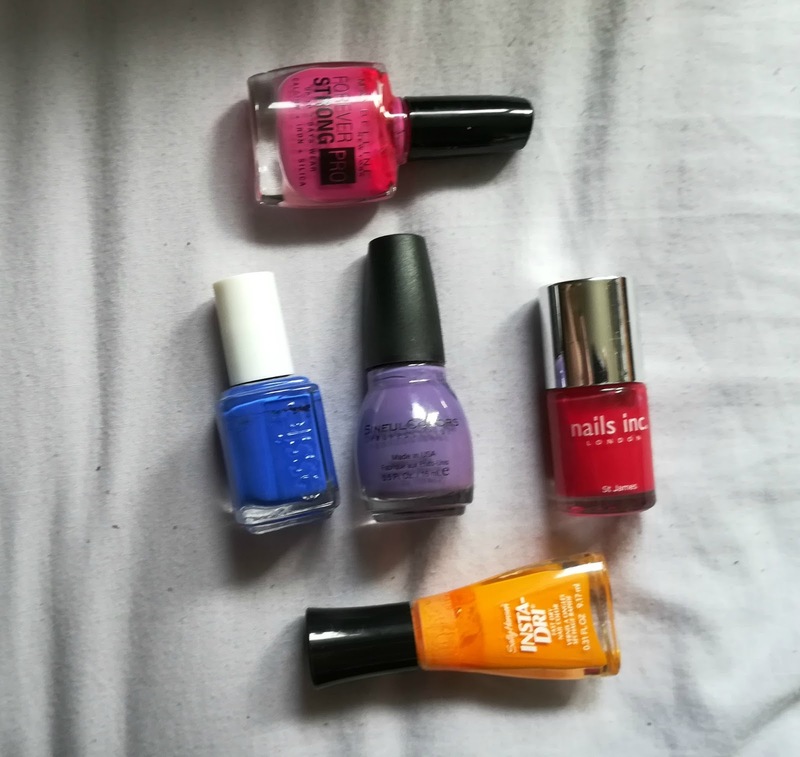 Favourite Nail Polishes for Summer! It doesn't seem a couple of days ago since I wrote my spring nail polish favourites! 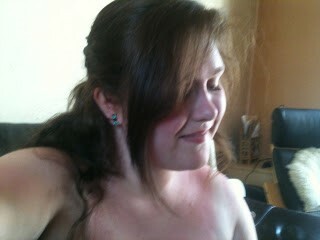 But now, it is summer, and I can share with you the colours that I love wearing in the (supposed) sunshine! So I haven't watched as many new films as I would have hoped this month, but it is still progress! 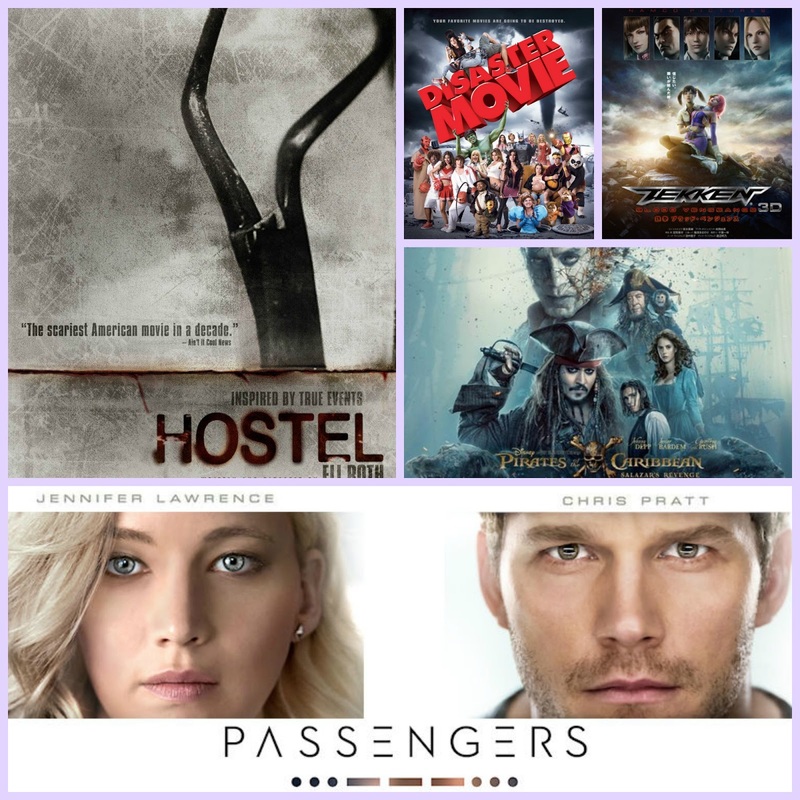 Have you seen any of these films? Let me know! Now, you may not know, but I'm NOT a highlighter type of gal! 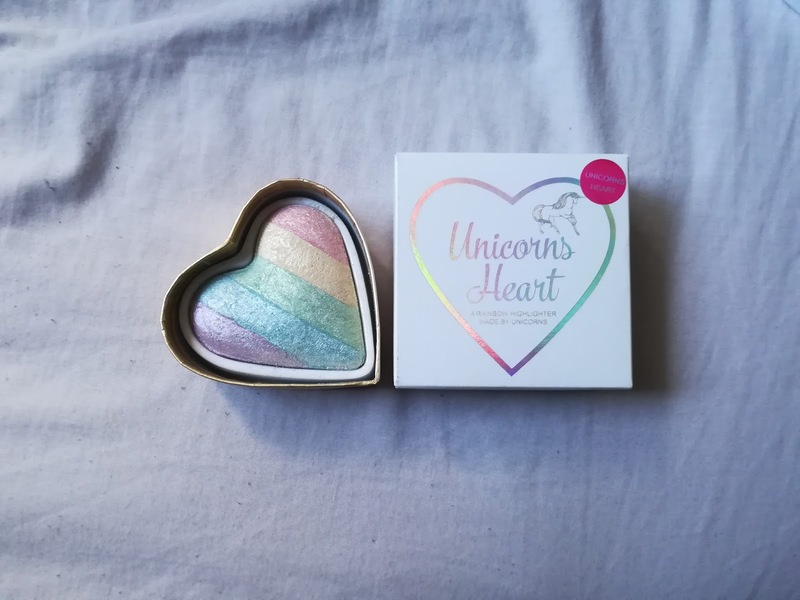 My face gets pretty shiny throughout the day, and the last thing I want is to look more like I'm 'glowing', but when I saw this highlighter, I could not resist and had to pick it up! Face masks have become an important thing to me again in these past few weeks; my skin has been dry and I haven't had clear skin in ages! 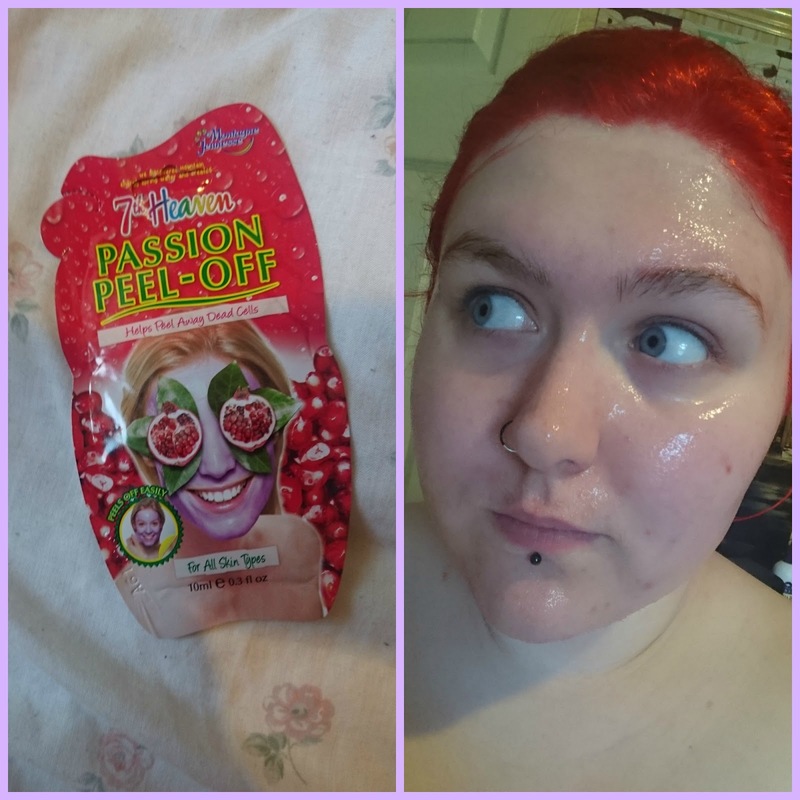 I wanted to try the Montagne Jeunesse Passion Peel-Off, so here is what I thought of it! I am always looking for new things to inspire my makeup looks. Ever since I bought my Urban Decay Full Spectrum palette (link here for my first impressions) I have been experimenting with it to create different ideas and I feel as though I have come up with some really pretty makeup looks! Here is my Bird of Paradise makeup look and how to create it! 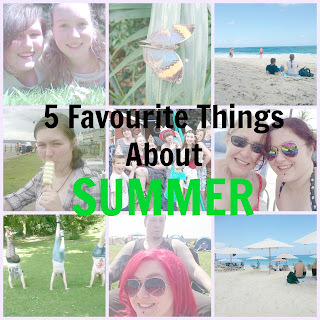 My 5 Favourite Things About Summer! Some people are winter people, some people are autumn people. Me, I'm definitely a summer person! Here are my top 5 reasons why! I do love a good book! 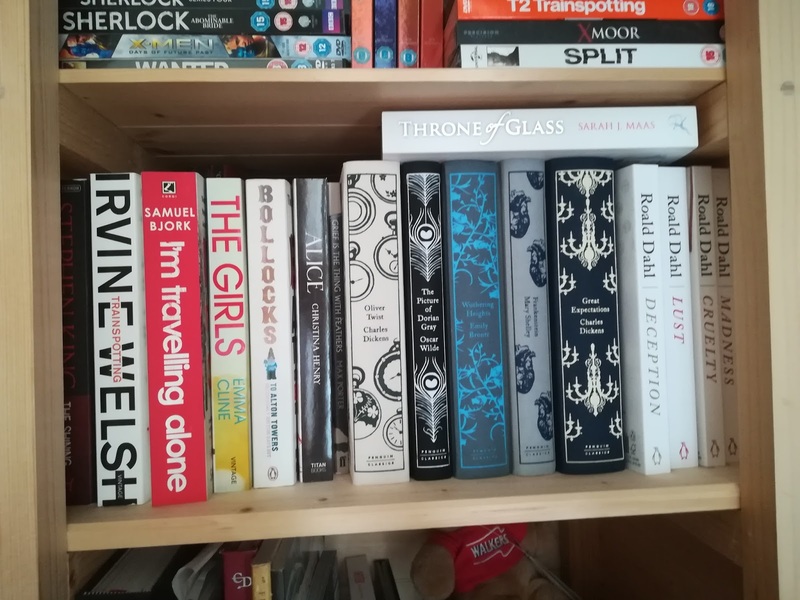 One of my main goals for this year was to read more books! I've seen a couple of people do this tag recently and I thought it would be a great idea to do it myself. So here are my answers to the Book Lovers Tag! 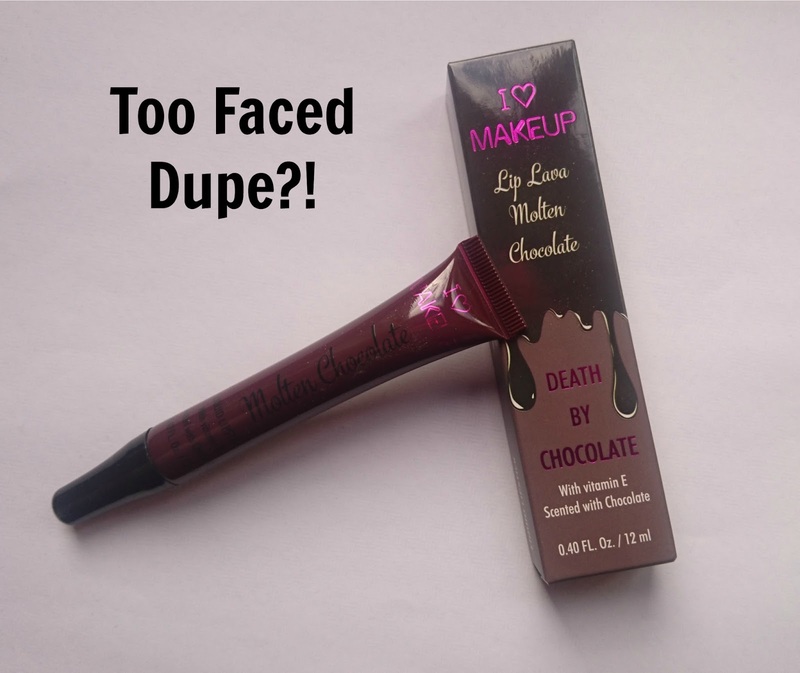 I Heart Makeup Lip Lava Molten Chocolate | Too Faced DUPE?! I did a little haul recently and I picked up one of the I Heart Makeup Lip Lava Molten Chocolate lipsticks, which I have heard is a dupe for the Too Faced Melted range! I haven't tried the Too Faced products but here are my thoughts on the I Heart Makeup dupe in the shade 'Death By Chocolate'! *Quick Note* This is actually an old post that I never posted, but since it has been the same weather here in England recently I thought it would be a good idea to share it! So here is younger me with different hair...! It's been so hot here in the West Midlands for a few weeks now and the other night me and my dad got invited to a BBQ. Now I don't have many things to wear in the summer because it's never usually this hot! So I decided to wear one of the only day dresses I own... AND I LOVE IT!! This outfit was so breathable and cool in the hot weather and wasn't uncomfortable at all! 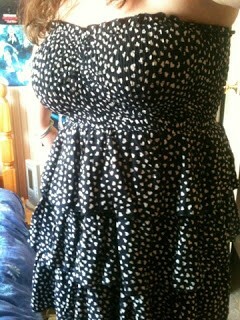 The dress: I bought this dress from Primark earlier this year. 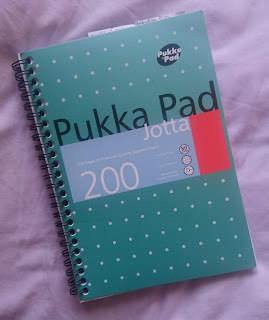 I was so amazed because it was only £7 and for that price I could not walk away! I's a navy blue rah-rah dress with little hearts all over it and I think it's so pretty and versatile as I would wear this on an average day but I also wear it when I need to dress up a bit. I just change the accessories and my hair and it transforms it so well. 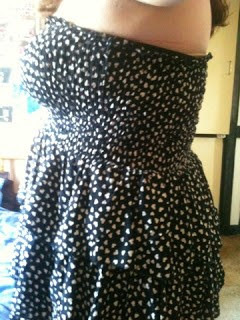 It's great for me as I'm a lil' bit chunkier so this pulls me in at the waist so nicely while the layers hide my belly! The shoes: I recently found out I had no pretty shoes that I could wear with tights So that was my next task and I finally found some really nice ones! These were from Store 21 and were at the amazing price of £4.99. 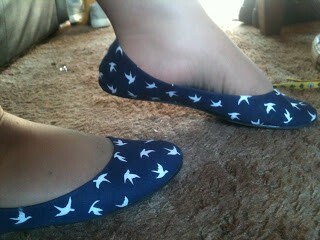 Again they're a navy blue and have little white swallows dotted all over them. They are so comfortable and so pretty so I'm really happy I bought these! Hair: If you follow me on Instgram (my username is Darkeowl ;) hehe) then you'll know that I was super happy about how my hair had dried... (well that's a random topic!) I loved how it had gone so curly naturally and I didn't want to put it up but I also didn't want it in my face! So I decided to have it both ways and put half up, half down. 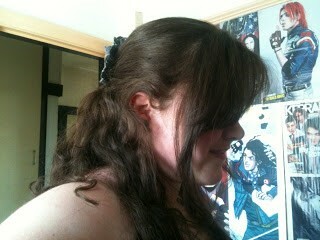 I used a really pretty flower clip from Claires to secure it and hide the hair band I'd put in it! Overall I think it was a really pretty look! Makeup: I wanted to keep my make-up really simple because it's so hot! So I just used a little bit of concealer and powder and applied some eyeliner and mascara to my eyes. I also used my new Maybelline Baby Lips in Peach Kiss which tastes AMAZING! So those were all of the films I've watched this month! I think I'm making good progress on my 101 films and I'm really enjoying writing these posts! 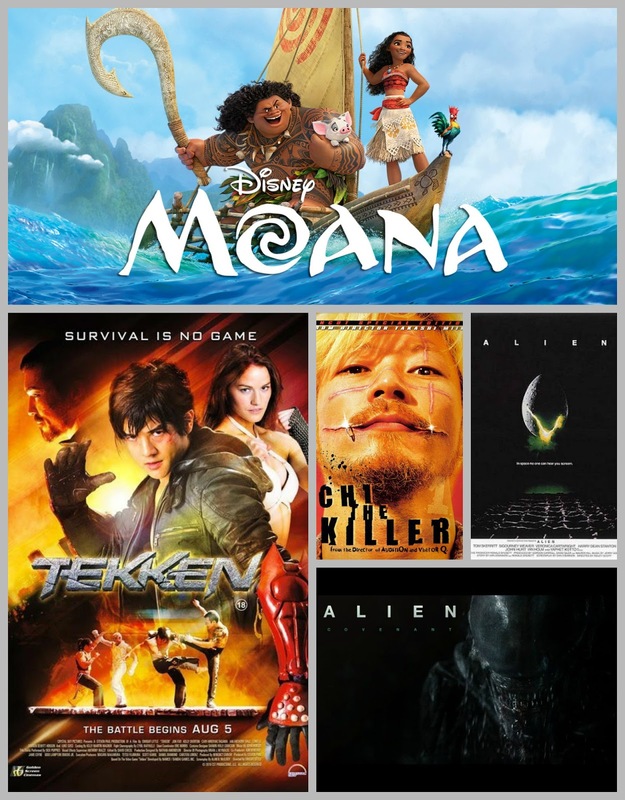 Have you seen any of these films? 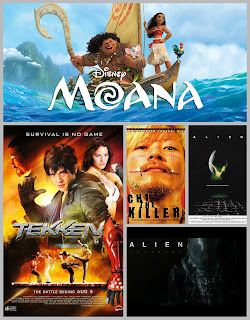 What have you watched this month and have you got any new favourites? Let me know! As with many other things, my tastes for candles changes through the winter months to the summer months. In the winter I prefer more cosy and warm smelling scents (not spiced though, eugh!) but in the spring and summer I prefer to have me some fresh, floral and fruity scents! Here are my favourite candle scents for the summer months! 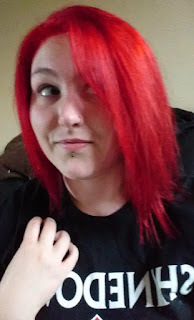 I've had bright red hair for about a year and a bit now. 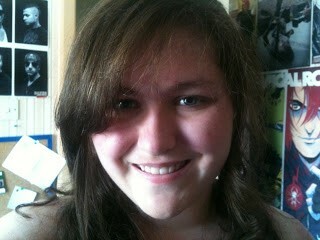 When I first had it dyed I had it cut quite short, so it wasn't too hard to wear it down and keep it looking good. Since then though I've wanted to grow my hair out a little bit, so it has made it harder to maintain my hair and keep it neat. My hair is thick, and when I say thick.. I mean THICK! My hairdresser is always surprised by how much my hair has grown and how much she has to thin it out when I go. Since it has grown, I just haven't been able to maintain it and keep it down decently. It's frizzy, it doesn't stay straight for even a day, and as I've said, it's thick. So I really wanted to find a way to wear my hair down without having to do much with it and I think I have found a way! 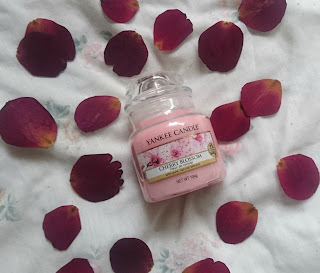 I finally have another Yankee Candle quick review for you guys! Now, don't be fooled... I have been using candles the entire time, even though I haven't been posting about them! I received the Cherry Blossom sampler from one of my friends at work and I have to say, I'm super happy she bought it me! Cherry Blossom is one of Yankee's newer scents. It is a very floral scent, but not like a rose scent that can often seem quite musky. It smells very sweet and is perfect for the spring time! When I first got it, I could not stop smelling it, even though it wasn't even burning! While burning the scent is not quite as strong, which in a way is actually quite a good thing, as it could have been overpowering if it smelt as strong as when it is not lit. Instead, it fills the room slowly with a subtle, sweet and floral scent that honestly just makes you think of spring time and being outside. I bought the jar version of this candle because I was really worried about running out of it, and I'm so glad that I did. If you like fresh smelling floral scents that aren't too musky, I would definitely recommend this. Have you tried this scent? 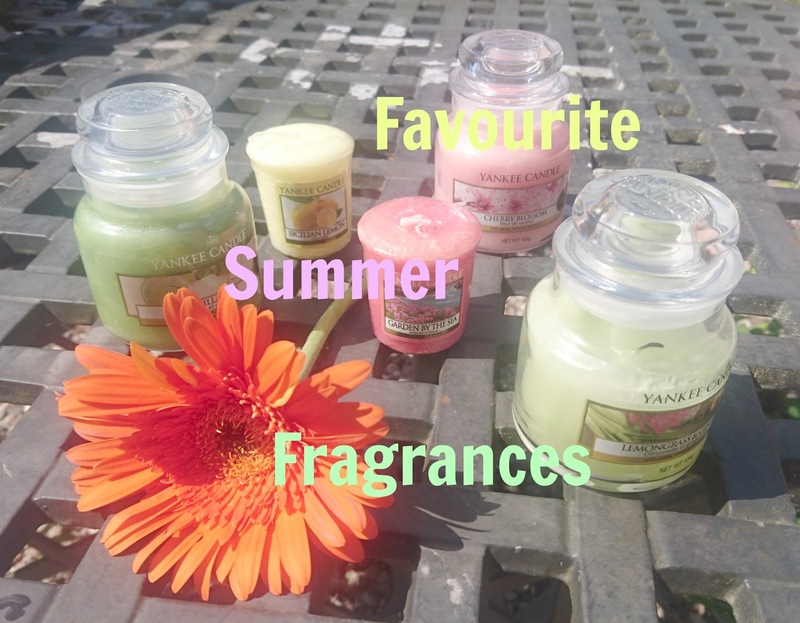 What is your favourite spring time scent? Let me know! A Day at Stratford Butterfly Farm! One of my main goals this year is to get out and see more places, do more things, visit more cities! If you follow me on Instagram (darkeowl *wink wink*), then you may have noticed a couple of pictures from when I visited Stratford with my boyfriend! The main reason for the visit was to go to the butterfly farm, and I took quite a few photos so I thought it would be nice to share them with you! 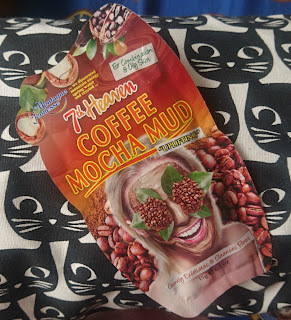 I haven't done a face mask review in quite a while and the other day I felt like some pampering, so I decided to use a mask I hadn't tried before. This is Montagne Jeunesse's Coffee Mocha Mud! If you want to know what I thought of it, keep on reading! Happy Birthday to you, Happy Birthday to you, Happy Birthday to TheDarkeowlllll... Haaaappy Birthday tooo youuuuu! So, my blog has finally turned 1, and if I'm honest, I wasn't sure whether I would keep it up for this long! I remember setting out this post and adding the date thinking it was miles away, but it has come round so so quickly! Although I haven't gotten quite as far as I would have hoped to in the first year of blogging, I'm definitely not disappointed with what I have achieved! There are so many things that I have learnt from other bloggers and even myself. I've learned what I like to blog about, what kind of writing I enjoy, and how I want to set things out! 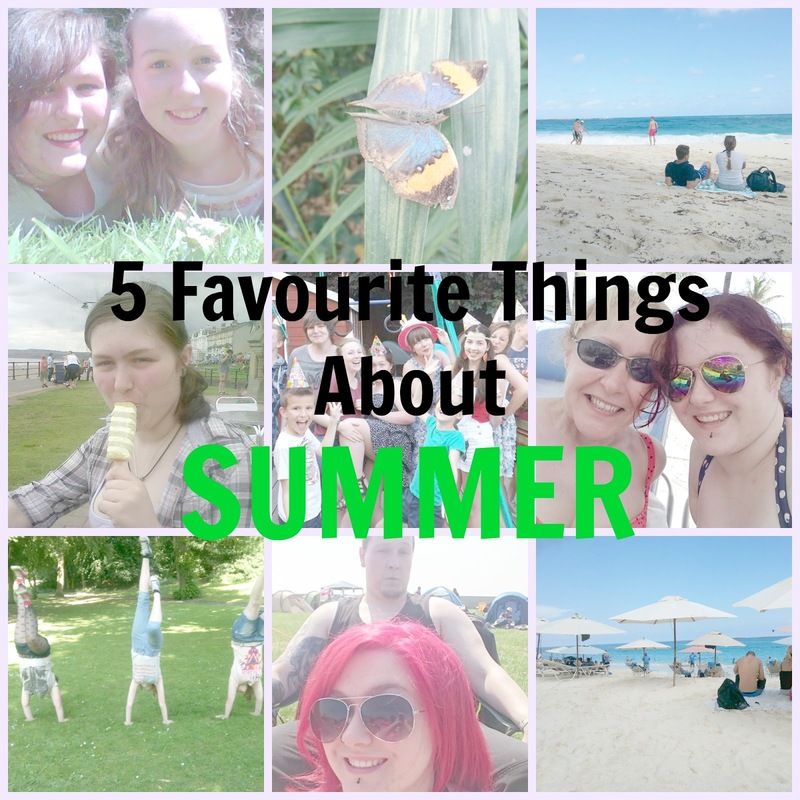 Since my blog is 1, I wanted to share some of my favourite posts with you from over the past year! I just want to thank everyone who has supported me, commented on my posts, followed me, and read my posts! For the moment, I have no intention of stopping my posts so hopefully I will continue growing, and you will continue enjoying! So those were all of the new films I watched in May! I'm really enjoying watching things I haven't seen before and I think at this rate I will complete my 101 in 1001 challenge pretty soon! 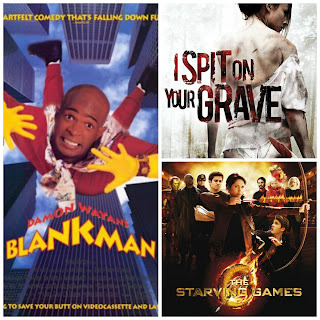 Have you seen any of these films? What did you think of them? Let me know! We are getting ever closer to festival season! Even though I haven't planned to go to one this year I've still been through the pain and have learnt what is needed to make the camping experience more pleasant! If you are going to a festival this year, take a look at some of these things! NOTW 27: Do you SEA my nails?! 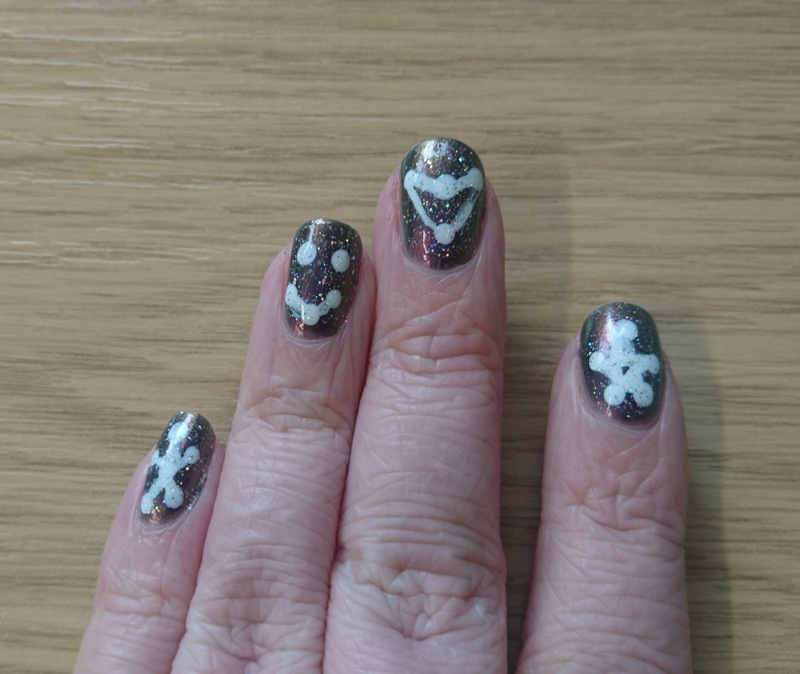 This week, rather than having just one block colour on my nails I decided to add a glitter top coat to add a bit more to them! As it turns out both polishes I used had a sea themed name! 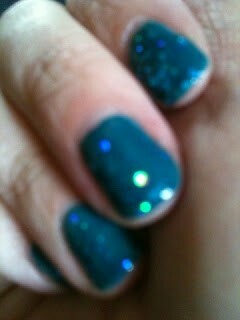 Firstly I used Technic's South Pacific which is a really nice dusty blue-green colour. It applies really well and only takes 2 thick coats or 3 thin coats to become opaque (I used 2 on the pictures below!). The glitter I used is also by Technic and is the one I hold in the picture. 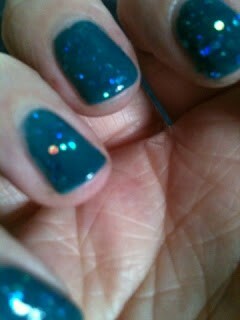 It's their 'Mermaid' polish and I think it is absolutely beautiful! It has multiple sized blue hexagon glitters which change to silver and green in the light! 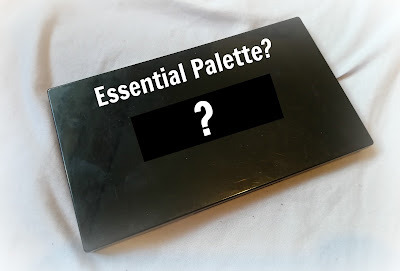 I think it has a slightly blue tinted base as well but I'm not too sure! Either way I love the colour and think it looks amazing! It was slightly difficult to apply though as all the glitters came off in one place but it can be pretty easily spread out before the polish becomes too tacky to move them. Overall I think it is worth the time that you spend spreading out the glitters as it adds a really beautiful layer to the nails! I love both of these polishes and I think they're really great value! Since I started my 101 in 1001 at the beginning of this month (link here if you're interested) I wanted a way to track what I was doing and how many goals I had accomplished. I had seen loads of people creating bullet journals for their day-to-day lives and I thought it would be a brilliant idea to incorporate the goals into a bullet journal! It has been a long time since ﻿I have done an empties post. It seems that I never finish things at a steady rate, I go through a massive dry spot and then finish things all in 1! 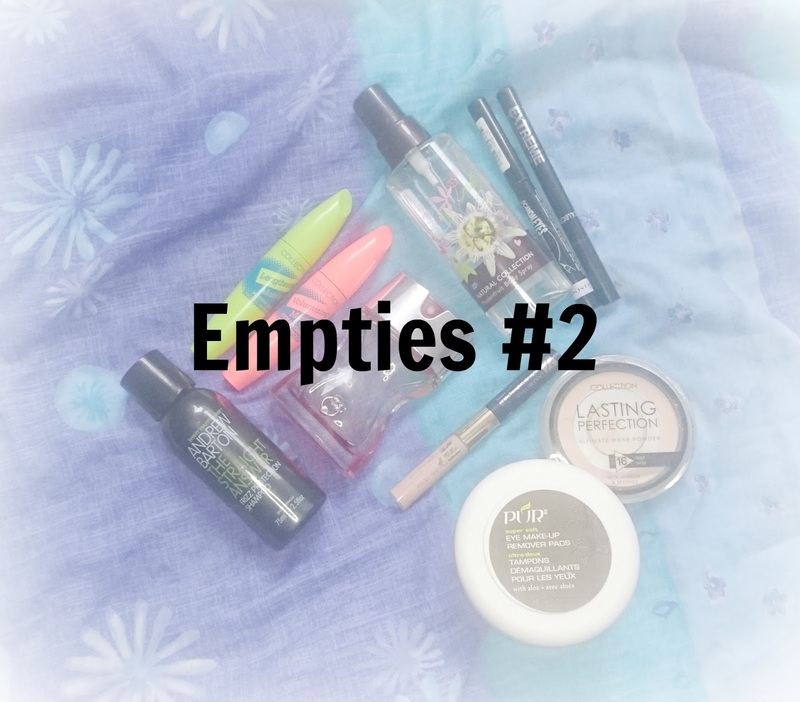 Here are my recent empties and my thoughts on them! 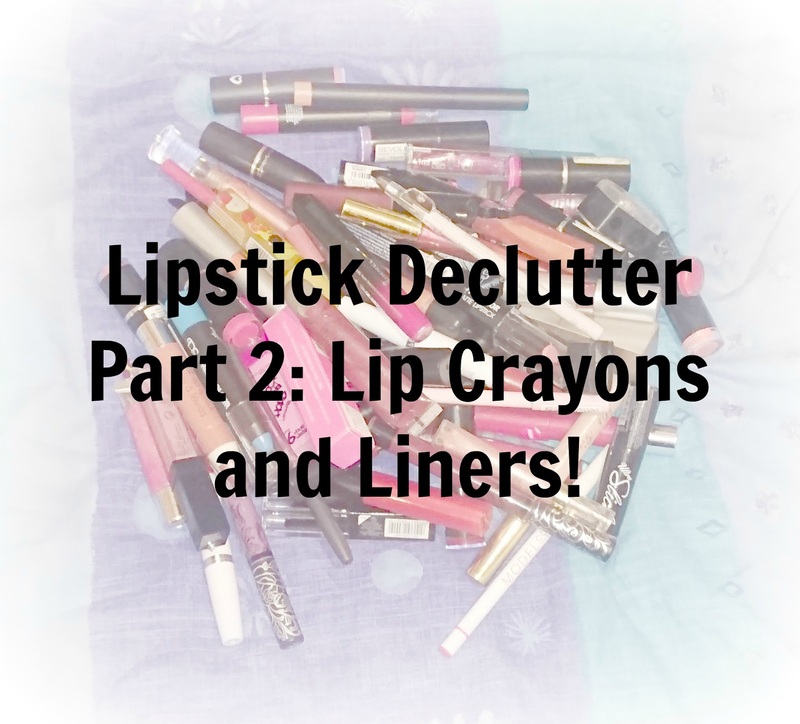 So here is the second installment of my Makeup declutter! 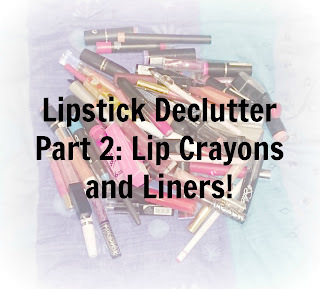 This week I decided to put my lip crayons and liners into 1 post. If you haven't seen part 1 click here to see that post! But for now, here goes! I am doing it. I am actually going to take part in 101 in 1001! This challenge TERRIFIES me, but I think it is also such a brilliant idea! 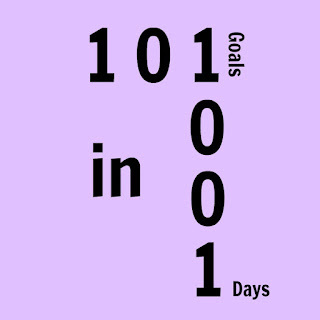 For those who don't know, 101 in 1001 is a challenge where you write down 101 things/tasks that you would like to complete in 1001 days, which roughly works out to 2.75 years. You can then track it through your blog and see how you are getting on with your accomplishments! I'm hoping that this will help me become a little more happier in myself and with my life, because I have some goals to look forward to. So, lets get into my list! Today is International Astronomy Day and I absolutely LOVE things to do with astronomy and space and all that sort of stuff, so I was super excited to see this day come up on the quirky calendar. I thought it would be a really pretty idea to come up with some star and constellation ideas. I started off using Miss Sporty's Metal Flip polish called 'Fiery Blaze'. It's an duochrome polish so I thought it would work great to create the look of a galaxy and depth. Then, using a large dotting tool and Sally Hansen's 'White On' I applied some dots to create a pattern. Using a small striper brush and the same white, I then connected the dots together to create some different constellation designs. Once the polish had dried I applied Barry M's Diamond Glitter over all of my nails to create some smaller star like detail. To finish it off I applied Barry M's Wet Set Quick drying top coat, and then it was complete! I don't think they turned out as well as I had hoped, the lines weren't as small as I wanted but it still created the look of stars and constellations, so I was still happy with the final result! Have you created any constellation nail designs? What are your nails like this week? Let me know! 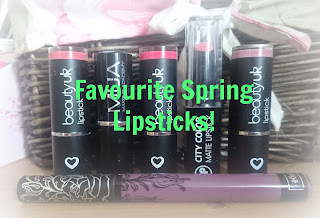 Although I'm a sucker for crazy lip colours, there are still colours that I tend to prefer at different times of the year. 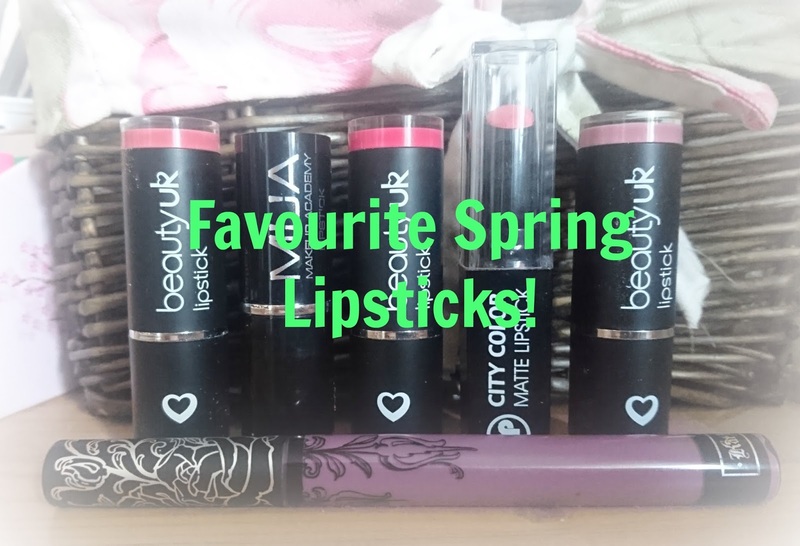 Spring is a great time for pink, more natural colours, so I thought that I would share my favourite lipsticks for this season with you! I started off with 2 base coats of Whip It Good. 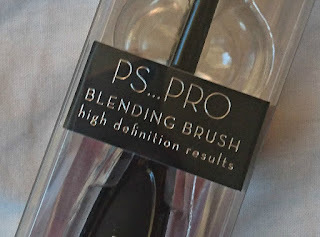 I really like the formula of this product but I just find the brush SUPER small so it takes a little more time to get them looking good. Once my nails were opaque and dried I applied Sally Hansen's White On to the top half of my nail. 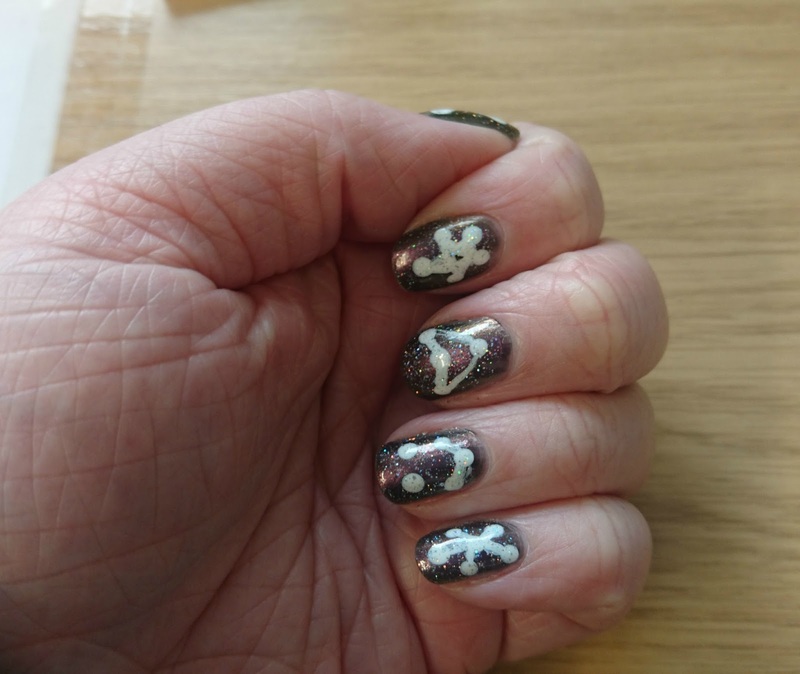 I then used a small dotting tool and added some cracked egg edges. For the little chick eyes I used Barry M's Black and a slightly larger dotting tool. Because the yellow and the white are so light in colour, I decided to define the edges of the egg using the small dotting tool again and the Barry M black. I finished off with my Barry M Wet Set top coat and that's it! Have you created any Easter manis? Let me know!